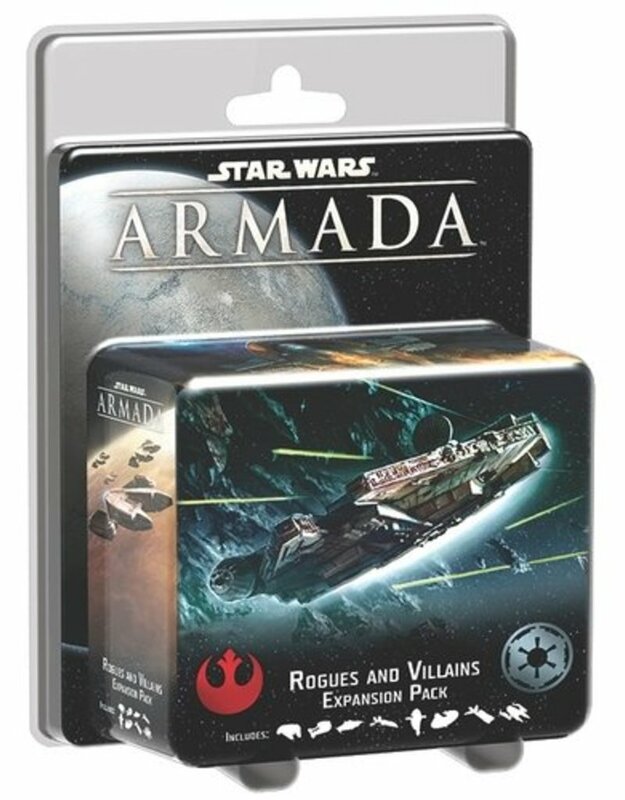 Han Solo, Boba Fett, and a handful of the galaxy's most notorious rogues and villains race to the battlefield in the Rogues and Villains Expansion Pack for Star Wars: Armada! 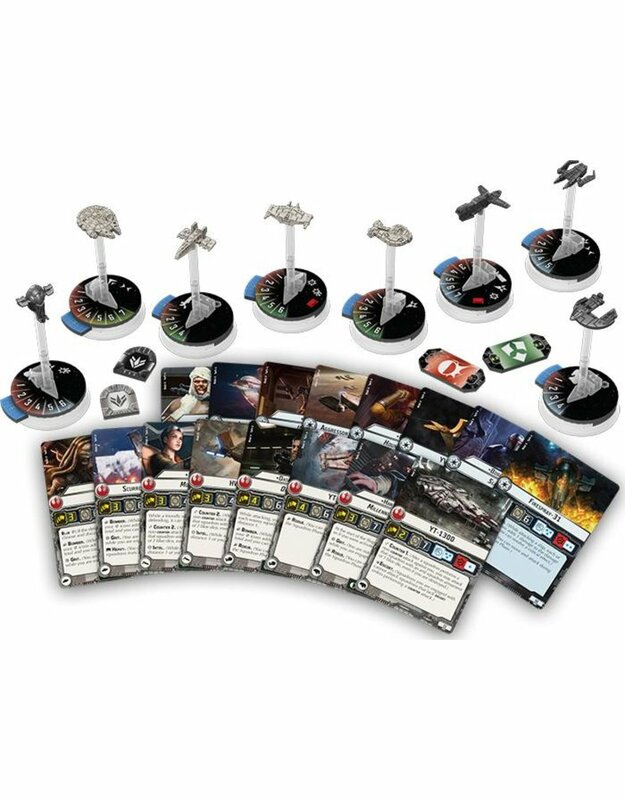 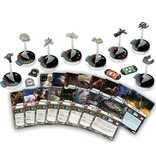 You'll find eight irregular squadrons, including some of the Star Wars galaxy's most recognizable freighters, patrol craft, and bombers, each of which can be represented in your games by either a non-unique squadron card or flown by an ace. 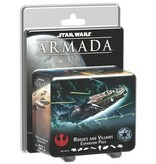 Like the squadrons from the Core Set and the first wave of expansions, these come unpainted, but are presented in colors that complement their fleets.